This class is currently closed for 2019. Sign up for updates below to get notifications when new Tagalog course offerings open up! Enrollment for this class is currently closed. Sign up to be notified when the next Tagalog class opens. 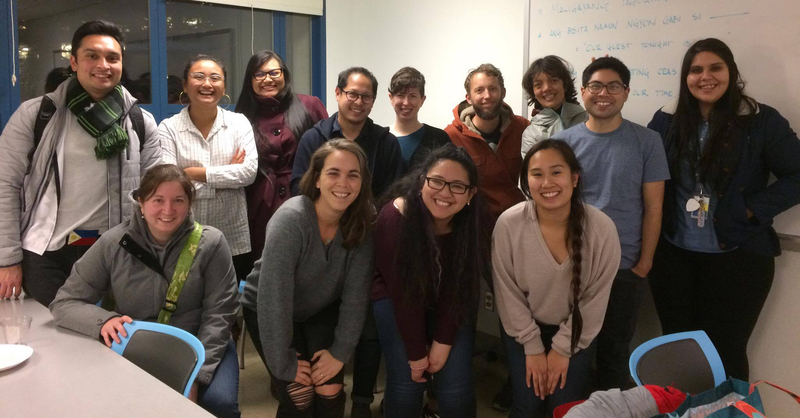 Advanced Tagalog speakers, Marietta Manalo, Eliana Ancheta and Hannah Bassett will be offering a Tagalog language class on the University of Washington campus. This class will cover introductory and intermediate language for everyday interactions, as well as reading and writing. The course will cover a broad range of topics from introducing yourself and talking about family to giving directions and going shopping. Introductory level grammar will be covered. This course is appropriate for students who are total beginners or who have introductory Tagalog proficiency who aim to improve and strengthen their language abilities for personal or professional development. This class is not for academic credit. Seats are limited so we encourage you to register early!